This is the classic route around Avimore, the route is not technical but has a long climb so you must be a well fit. After climbing you'll get some stunning vistas, so it is worth all the hard work. The road we begin and end in the car park at Rothiemurchus. This is not a large car park but there is always a free space. Near the car park is very friendly shop Bothy Bikes and restaurant where you can eat, when you return. Go up toward the Aviemore. The beginning is on the main road so be careful. 1. Crossing the busy A9 road be careful. 2. Continue along the minor road until Altnacriche. 3. Reaching Altnacriche turn right crossing gate. From this point begins a long climb to 4. the memorial Alaistair Polson which is a beautiful view to the east. From there begins a rapid descent that ends with at the river Dulnain. 5. After crossing the river turn right and then continue riding a on a small path along the river. The path is muddy, but you can meet local wildlife. 6. At the junction go right. 7. The path will lead you to a T junction where you can turn right and you can reach a path (NCN Sustrans Route &) to Kinveachy, or you can turning left and reach General Wade's Military Road, on which is 8. Sluggan Bridge. After crossing the bridge trail will lead you to Kinveachy. 8. Again crossing the busy A9 road be careful. Then, leaving Kinveachy go along rail tracks where you can see a historic steam train. After a short time we are back in Aviemore from the main road leads us to the car park. Burma Road is a part of Singletracker's collection of official MTB trails in the United Kingdom. 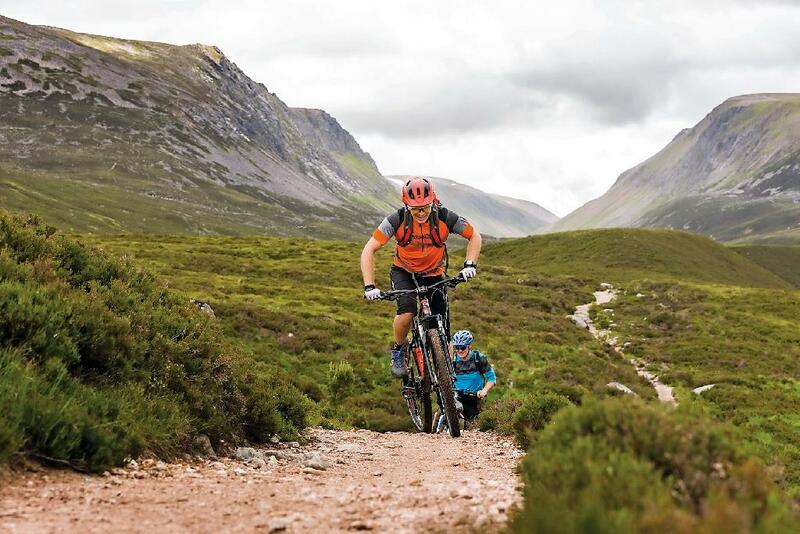 It contains all types of mountain bike trails from downhill and enduro trails through pump tracks and skill courses to cross country XC trails and family friendly trails. Recognise the trail builders hard work by reviewing the trail in the Singletracker App.